Last initial model for the Void Phantoms pretty much done. Forgot to finish up the engine but other than that and sealing pretty much done. 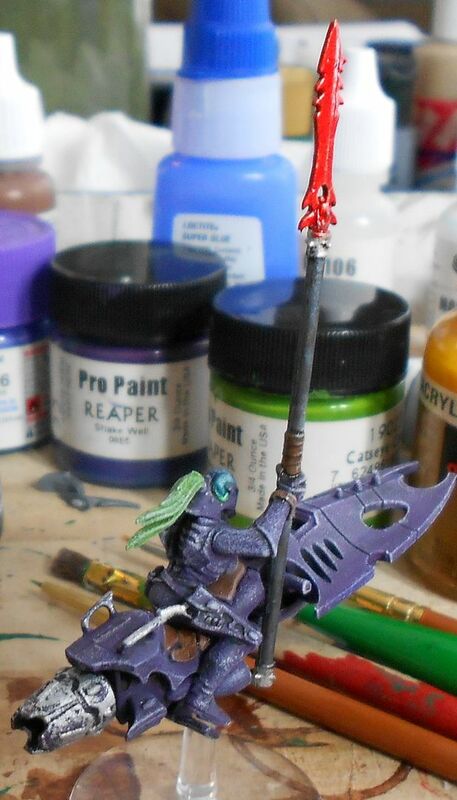 Spear is a Dark Elf spearman arm with a Dark Eldar Scourge spear bit on top. 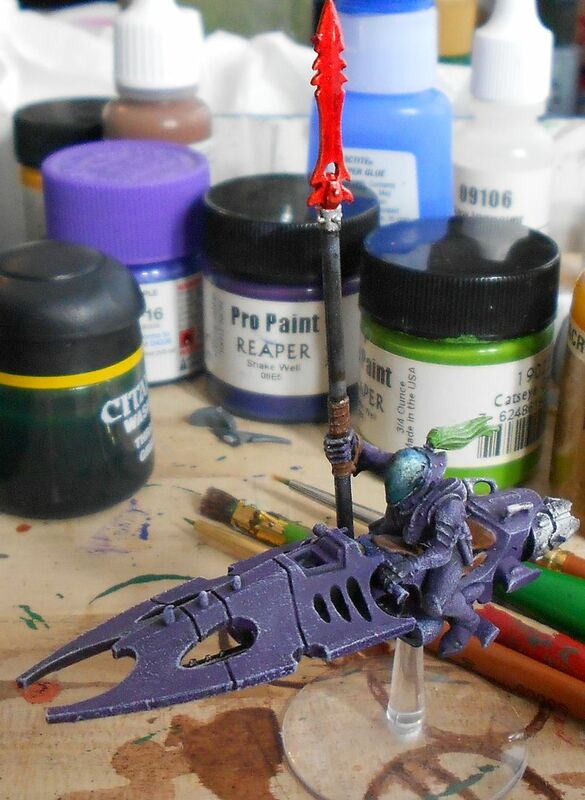 Body is straightforward Dark Eldar biker, bike straightforward Dark Eldar bike with blades cut off. I was thinking of using those dome-headed dude as warlocks too. Go Eldar! It's a pretty natural fit, very similar to the actual warlock helmets already. Paint on some eyes and you're there.